Chick Lit Central: Double your winter holiday fun with Scarlett Bailey and Malena Lott...plus some book giveaways! Double your winter holiday fun with Scarlett Bailey and Malena Lott...plus some book giveaways! To kick off the month of December and our holiday recipe post theme, we have two authors here today...Scarlett Bailey and Malena Lott! 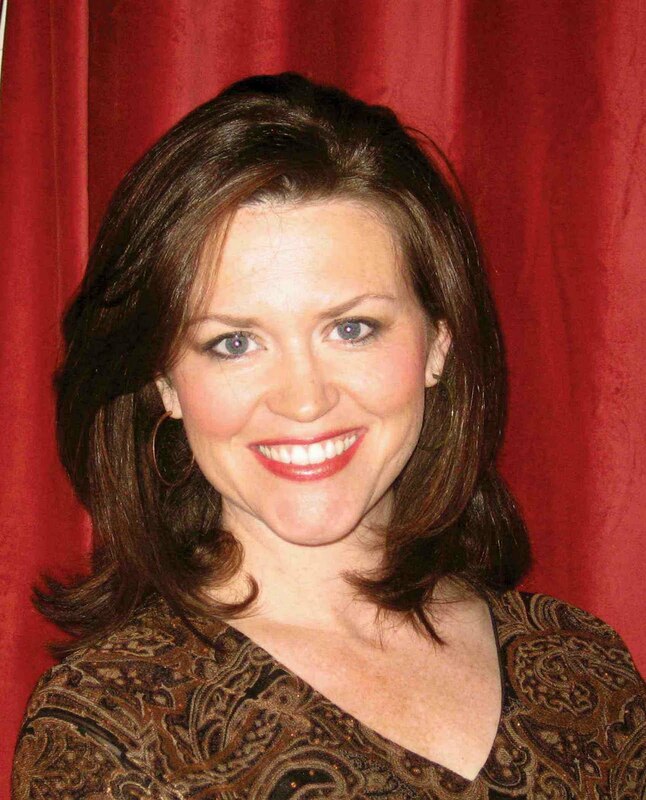 Malena Lott resides in the Oklahoma City metro region. She graduated from the University of Oklahoma with a B.A. in Journalism and Mass Communications, and was also an Alpha Chi Omega. In addition to being an author, Malena is a wife, mother, brand strategist and creative consultant. 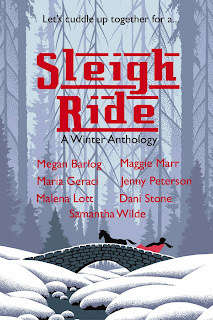 Her latest novel is "Sleigh Ride: A Winter Anthology" on which she collaborated with six other authors (reviewed here). You can visit Malena at her website, Buzz Books, Facebook and on Twitter (@malenalott and @BookEndBabes). Malena is here to get us nicely toasted with her sweet holiday beverage and is sharing with us a double giveaway! A copy of "Dating da Vinci" and "Sleigh Ride" for a lucky reader in the US or Canada. Scarlett Bailey is new on the scene and her debut novel "The Night Before Christmas" is sure to get readers into the holiday mood! Before writing her novel, Scarlett worked as a bookseller, waitress, barmaid and cinema usherette. She loves old movies, days under duvets, reading and desserts. Currently, she lives in Hertfordshire (UK) with her dog and very large collection of beautiful shoes. She can be found on Facebook and Twitter. 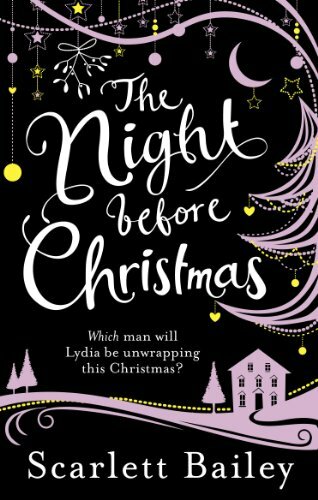 Scarlett is here today to share with us her Tunis Cake and THREE lucky readers in the US, Canada or Europe have a chance to win "The Night Before Christmas," thanks to Ebury Publishing! I'm more of a mad mixer than a holiday baker, so my skills are best left for the wet bar instead of the kitchen. Here's a recipe all of my girlfriends LOVE and I'll also be serving it at a signing for "Sleigh Ride: A Winter Anthology." The rich red color makes it a great choice for holiday parties. My Christmas recipe is one that is very specific to my seventies and eighties childhood and, really strictly speaking, is not traditional at all unless you live in my house. As a child, the Christmas food I looked forward to most of all was Tunis Cake. A lovely soft sweet Madeira sponge topped with a thick layer of chocolate, decorated with colourful piped icing and finished with marzipan fruits (which I always picked off, as I didn't like marzipan). Sounds like it should have been around a long time, Tunis cake, doesn't it? Like Simnel cake, a ancient Middle Eastern delicacy, that perhaps was once even munched on by some hungry wise men journeying to see the baby Jesus. In fact it was invented in 1973 by McVities who tragically stopped making it sometime in the eighties... a dark, dark time in the Bailey household. There have been other shop made pretenders since - Tesco, M&S and Sainsburys have all had a go, but none have ever reached the majestic peaks of those glory years. Which is why a few years ago I started to have a go at making my own. There are a few recipes knocking around the internet but this is the one (that I found posted on The River Cottage Forum about a year ago) that's worked the best for me. So get your Avocat snowball ready, get the Morecombe and Wise Christmas special on the new colour set, with its three whole channels and enjoy a seventies Christmas with love from me. Special thanks to Malena and Scarlett for sharing their recipes and books! Please comment below with your e-mail address. (Please note:Entries without an e-mail address will NOT be counted. You can use AT and DOT to avoid spam. Or provide a link to your facebook page or blog if you can receive messages there.) Also, please let us know where you are located. 1. Please tell us: What is your favorite winter holiday dessert? Malena Lott giveaway is US/Canada only. Scarlett Bailey giveaway is US/Canada/Europe only. Both giveaways end December 6th at midnight EST. 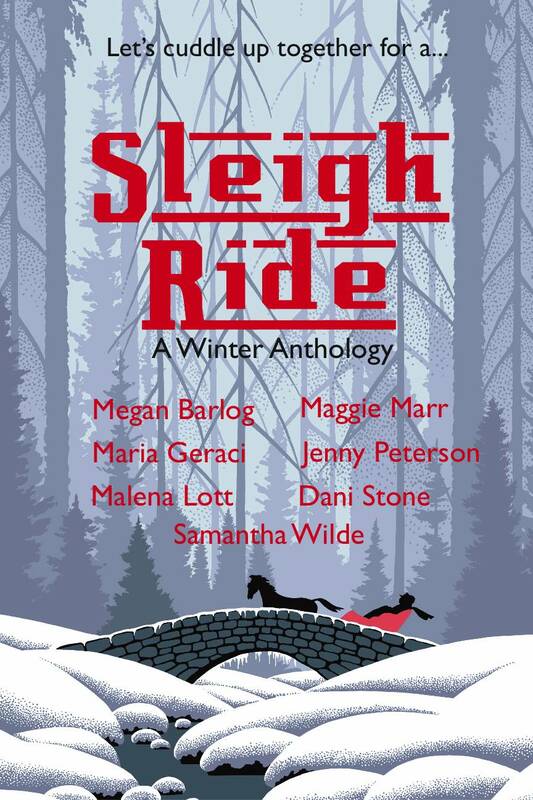 Thanks so much for including Sleigh Ride in your giveaway and for the wonderful review! The books sound great! Thanks for the nice reviews, as always. My favorite winter holiday dessert is apple pie. Thanks for the giveaway! +1 My fav holiday dessert is gingerbread cookies! 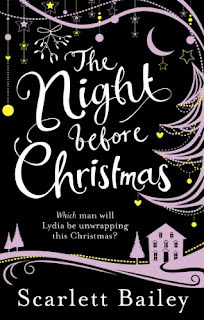 I would love to win "Night Before Christmas". I have been checking online daily since I read about it, hoping to find a copy in the U.S.! My favorite winter holiday desert is gingerbread. I already follow this blog. This year, my favorite holiday confection is my homemade peppermint patties. I've already made them 3 times and we're just now in December. They're insanely good! Thanks for the wonderful reviews! My favorite dessert is sugar cookies in christmas shapes. I follow on email and FB. I love Christmas log cakes. They're so pretty, I almost don't want to eat them! I may need to stock up on some this holidays. P.S. Melissa, yes What Alice Forgot was pretty wonderful. The end made me smile. My favorite winter dessert is molasses cookies. I would like to read these books. I don't have a favorite holiday dessert. In general, I like ice cream, chocolate chip cookies, and cookie cake. my favourite christmas dessert is anise cookies...yummy. I have many but the last couple years, I've been making my own version of Starbuck's mint chocolate brownies. They are SO good!! That and ginger drop cookies. are a follower (if you already follow, that's fine too).